It doesn't matter if you are a freelancer, graphic designer, small business owner, or a startup company; it’s very important for you to digitalize the accounting, finance, and tax matters pertains to your day to day operations. It’s very beneficial in long run for any small to medium size business to know how much revenue they are earning and how much expenses they have made because at the end of the year it helps in core decision making. There are many paid and free online accounting software available online but to choose the best online accounting software is very time consuming, because it’s not easy to change the software every now and then, so it’s better for any person or business owner to choose the best online accounting software. 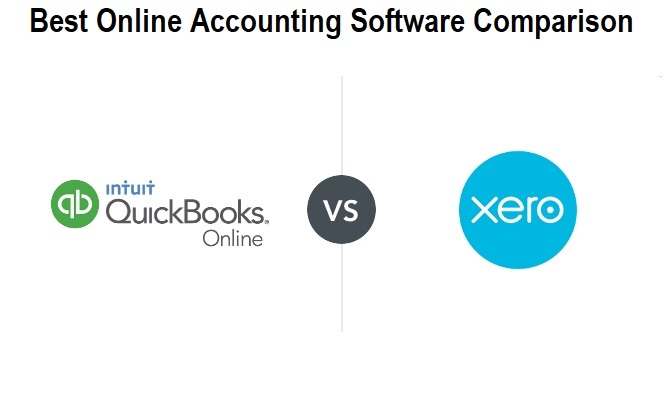 The two most popular cloud accounting software are QuickBooks Online and Xero, so today we will compare the features and functions of these two software and let you decide the best for adoption. So let's get started. 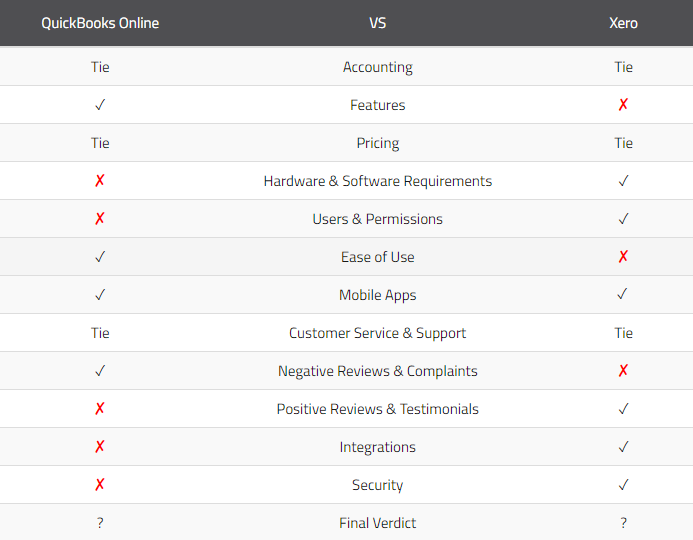 QuickBooks Online vs Xero - The Best Online Accounting Software? Xero and QuickBooks are two biggest name in online accounting software arena, and both are offering very similar and identical feature set to users, so how will you know which is better for your business? That’s why we are here to solve your problem. QuickBooks Online developed in 2004 and since then offering its easy-to-use advanced accounting, finance, and tax related software features to global businesses. QuickBooks is renowned by professional bookkeepers and accountants. If you don’t have much knowledge about finance, accounting, and tax, you can still use this software, because it’s quite easy to understand its basic functions. Xero on the other side is the rival of QuickBooks in terms of popularity and capability. Xero software was developed in 2006 and offering some impressive features related to accounting, finances, and tax. Xero is still behind the QuickBooks when it comes to most usage, adoption and customer support. Now days the most critical part is tax saving for businesses, and these two software are capable enough to provide such options which allow all small to medium size businesses to do things as per their local tax laws and regulations. As these two software is cloud-based, all the stakeholders of business can access the data anytime anywhere. QuickBooks Online and Xero also provide video tutorials and guide to users to understand the know-how of every options like they do offer tax deduction guide to both individuals and businesses. The pricing of QuickBooks Online starts from $20/month while payroll costing starts from $35/month and Xero starts from $9/month and payroll costing starts from $39/month. As both are online accounting software, which means you can access both from internet web browsers like; Google Chrome, Mozilla Firefox, Microsoft Edge, and Safari. Both this software also has Android and iOS mobile applications; which mean you can also access data from your smartphone.